UPAF is an umbrella nonprofit organization that raises funds to support 14 of Southeastern Wisconsin’s most prominent performing arts groups including First Stage, Florentine Opera Company, Milwaukee Ballet, Milwaukee Repertory Theater, Milwaukee Symphony Orchestra and Skylight Music Theatre. Carmen was featured in the 2018 New York Comedy Festival for stand-up, sketch, a roast, and her own show “Puppets Present” which was a Time Out New York pick for “Best Shows to See”. She’s performed in several other festivals including Brooklyn Comedy Festival, Bridgetown, Rogue Island, and the Women in Comedy Festival. Read more about her at CarmenLagala.com and see her THIS MAY at the CREAM CREAM CITY COMEDY FESTIVAL! Langston Kerman is a comedian, writer, actor and failed NBA ball-boy. He has appeared on ADAM DEVINE’S HOUSE PARTY on Comedy Central, and was also a part of Chris Rock’s writing staff for the 2016 ACADEMY AWARDS, as well as the new Comedy Central show SOUTH SIDE. Most recently, Langston was seen recurring on the HBO series INSECURE from Issa Rae. None of this matters. He just wants another shot at being a ball-boy. Read more about him at LangstonKerman.com and see him perform THIS MAY at the CREAM CITY COMEDY FESTIVAL! Dates, location, and more headliners announced soon. 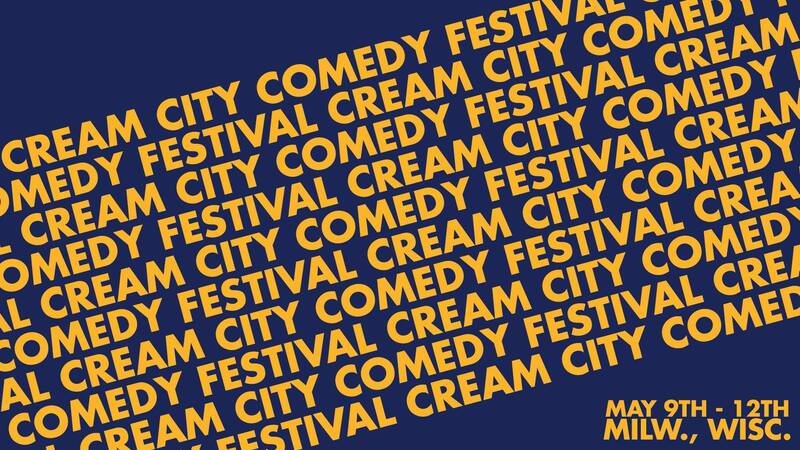 The 2019 Featured Performers are comedians selected through a submission process, we review each entry and hand-select the best of the best! Our submission window is currently open until January 31st with a $5.50 submission fee for performers, and a $20.50 for those submitting a show for consideration. To be considered, click here: 2019 Performer & Show Submission. Be sure to read the disclaimer, follow the guidelines, and apply! The featured performers will be announced at the end of February.